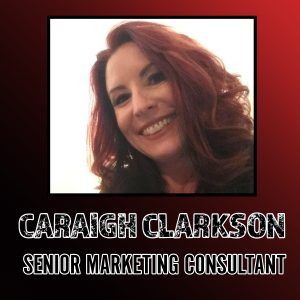 Caraigh Clarkson is a Senior Marketing Consultant with KILO and KRXP Radio with over a decade of experience in Business Development, Marketing and Customer Service. Caraigh knows the capability of radio and how theater of the mind is a very powerful tool when it’s comes to building your business with on air advertising. She applies knowledge, industry experience, passion and relentless energy to solving your company’s marketing needs. Caraigh is no stranger to the world of Radio. 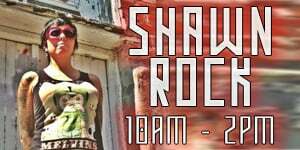 She spent 5 years being an On-Air Talent with a Rolling Stone awarded station in Hawaii. So, she knows both sides of the business. Let Caraigh be your consulting partner, as she has been for McClosky Motors, Revolution Jewelry Works, and Vapor Source to name just a few, for many years. Her tenacious dedication to detail, and marketing ability can be an incredible asset to your company and its goals. Caraigh has lived in Colorado Springs for over 20 years. She moved here from Hawaii where she went to High School and College. Her family consists of 4 cats, 3 sugar gliders and two fish. FACEBOOK’S TRADEMARKS, INCLUDING FACEBOOK, THE “F” LOGO, LIKE BUTTON ICON, THUMB ICON, FACEBOOK LIVE LOGO, MESSENGER LOGO AND INTERNET.ORG LOGOS, ARE OWNED BY FACEBOOK AND MAY ONLY BE USED AS PROVIDED IN THESE GUIDELINES OR WITH FACEBOOK’S PERMISSION. 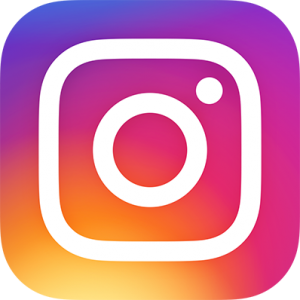 INSTAGRAM’S TRADEMARKS, INCLUDING INSTAGRAM, THE INSTAGRAM LOGO, THE INSTAGRAM GLYPH AND APP LOGOS, INSTAMEET, INSTASTOP, INSTA, GRAM, IG, BOOMERANG, IGTV AND IGTV LOGO, DIRECT AND DIRECT LOGO, THE INSTAGRAM FILTER NAMES, AS WELL AS THE HYPERLAPSE LOGO, LAYOUT LOGO AND BOOMERANG LOGO, ARE ALL OWNED BY INSTAGRAM AND MAY ONLY BE USED AS PROVIDED IN THESE GUIDELINES OR WITH INSTAGRAM’S PERMISSION.